The Secret Story Behind the Coming Downfall of Communist Cuba. 2:B&W 6 x 9 in or 229 x 152 mm Perfect Bound on Creme w/Gloss Lam. 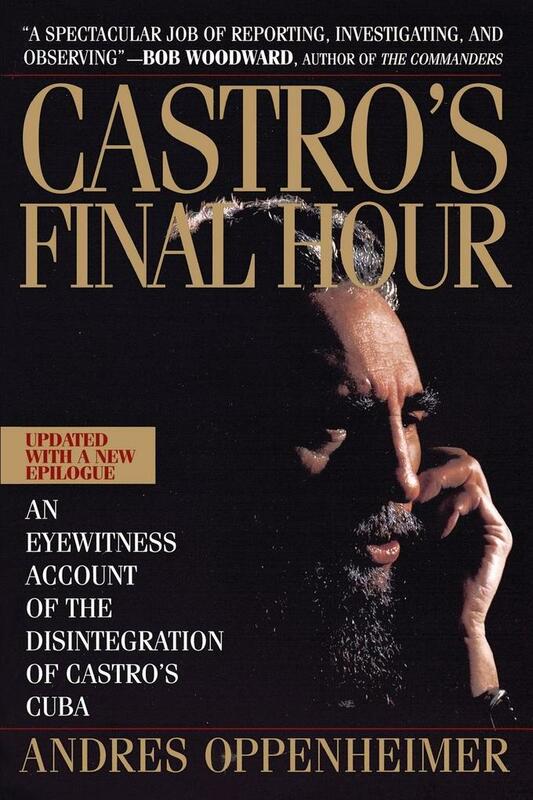 Reported from inside Cuba by Pulitzer Prize-winning reporter Andres Oppenheimer, Castro's Final Hour chronicles the dramatic events that have crippled the more-than-three-decades-old Marxist regime of Fidel Castro. From the execution of the country's most celebrated Army general in 1989 to the devastating effects of the loss of all Soviet aid, the picture Oppenheimer paints is extraordinarily detailed and engrossing, revealing a country on the brink of disaster. He uncovers Castro's never-before reported efforts to radicalize Noriega's regime in Panama, the failure of his "Zero Option" plan to restore economic stability without outside aid, and tells how, in a last ditch attempt to save the country from its dire slide, Castro's top aides pushed a plan to strip him of some of his powers. Including exclusive interviews with Soviet officials, Latin American leaders - including Daniel Ortega and Manuel Noriega - as well as the top echelon of current Cuban leadership and Fidel's dissident daughter, Alina, Castro's Final Hour is a compelling and intimate portrait of the Cuban leader, and an authoritative evaluation of what the future may hold for his country.